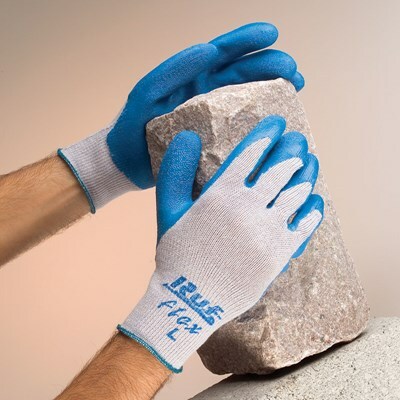 Durable, rubber-coated gloves provide outstanding grip. Stretch cotton fabric ensures a comfortable, snug fit. Seamless cotton liner and open back design offer breathability for all-day wear. Ruf-flex" features a premium formulation rubber palm coating. Ideal for gardening, maintenance, construction, and farming.